On July 17, the Fox News "Special Report" program aired an interesting piece about use of facial recognition software by police agencies — specifically, in this instance, Amazon's Rekognition program. Let me say up front that I have no problem whatever with taking advantage of such software for law enforcement purposes, provided that it is done with appropriate safeguards, and solely as a tool to be used in combination with other evidence to identify, arrest, and prosecute suspects (although I do find use of the letter "k" in the name Amazon's propriety program to be a little creepy — apparently someone is a bit tone deaf in this otherwise progressive-leaning corporate behemoth). The focus of the Fox story, though, was the pressure that Amazon is facing to discontinue marketing Rekognition to law enforcement organizations. The pressure initially came from the American Civil Liberties Union (ACLU), which sent a letter to Amazon bigwigs demanding that they alter course and deny service to police, suggesting that the use is in some way a privacy violation. That doesn't appear to be strictly true, however, since the photos captured were taken lawfully to begin with (e.g., inmate and booking photos), which are then being compared to photos taken of crime suspects when they are caught on video robbing convenience stores, or whatever. This seems perfectly legitimate to me, and in fact common sense policing. Even so, the objections have now spread to employees, and even investors (of what number or size of holdings the show didn't reveal), who are now circulating a petition to present to Amazon. This pressure to "disinvest" or withdraw services or products from police agencies is a disturbing trend. I have written about it in another context, with regard to pressure being leveraged against corporations (including, once more, Amazon) to drop contracts or otherwise refuse to service Immigration and Customs Enforcement (ICE). For the moment, though, I want to focus on the Fox News piece. The Washington County, Ore., sheriff's office is using the software and facing resistance for that use, commensurate with the pressure now being exerted against Amazon. In justifying use of the software, a sheriff's officer in uniform wearing the name tag Talbot appears on camera saying, "We recognize that criminals will keep committing crimes." I applaud them for this profound observation. Unfortunately, it seems, that profundity is selective. Washington County is a sanctuary jurisdiction that refuses to cooperate with ICE in honoring detainers, or even notifying federal agents of the date and time of release of alien criminals so that they can be there to take the individuals into custody for removal proceedings. 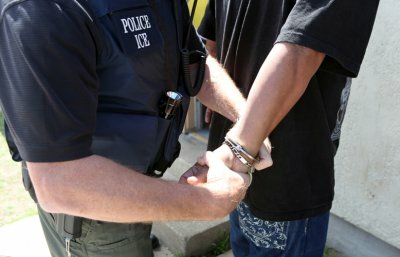 The obvious consequence is that these "criminals will keep committing crimes" in the same community to which they have been permitted to return by the sheriff's office, even though they have no right to be in the United States in the first place, and even though the chances are pretty good that a substantial number of their victims will likely be other immigrants. But the sanctuary status of Washington County (and, indeed, all of Oregon) may soon change. More than enough voters have signed a petition now to ensure that a statewide referendum will be put on the November ballot to force Oregon to become an anti-sanctuary state like Texas, which does not allow its political subdivisions from enacting any law, ordinance, rule, or policy that shields illegal aliens from the reach of federal officers. Should that referendum pass, then perhaps the common sense insights of the Washington County sheriff's office about criminals repeating their offenses can be put to practical use throughout Oregon, and at least that portion of criminals who are illegal aliens can be plucked from their midst by federal agents trying to do their job.